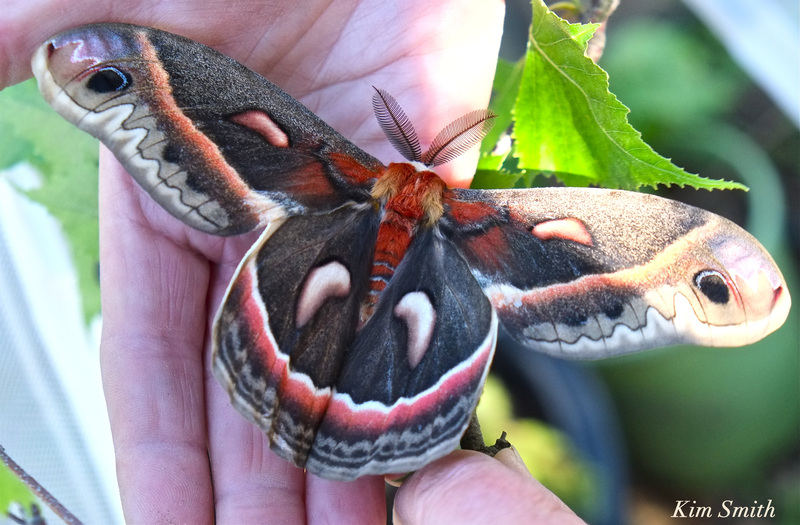 The first of our Cecropia Moth caterpillars, nicknamed Mothra, is in the process of spinning her winter home, a fine silken enclosure. 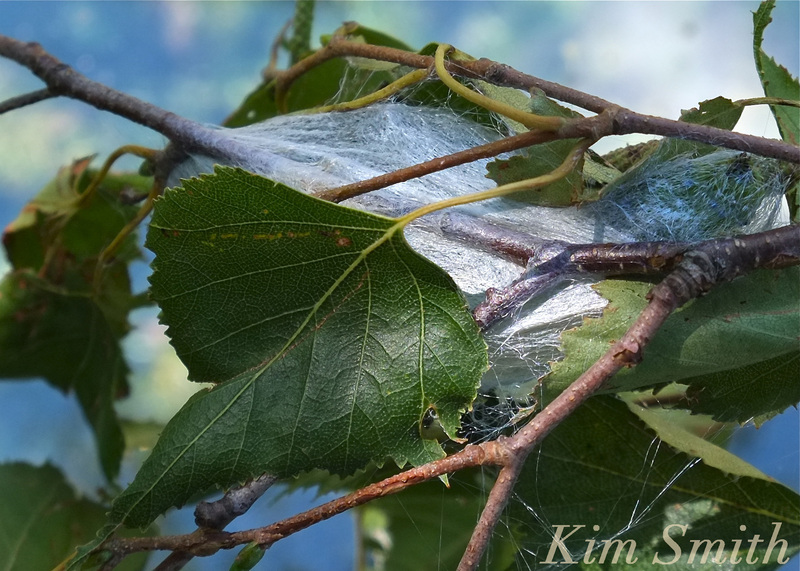 With the gossamer threads, she has woven several branches together, forming a V-shaped structure to secure the cocoon. 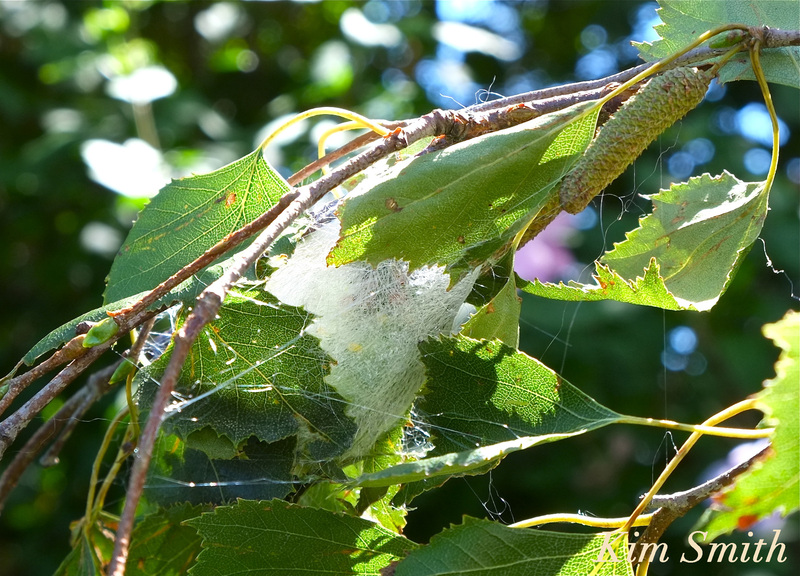 Surrounding leaves, like a blanket, are arranged around the cocoon and also secured with silk threads. The house is quite large, about four inches long and an inch and a half in diameter. As you can see from the Instagram, she has room enough to easily move within the cocoon. When completed, she will pupate within the case. Come next spring, Mothra will emerge from her winter home ready to mate and deposit eggs of the next generation. The circle of life continues. 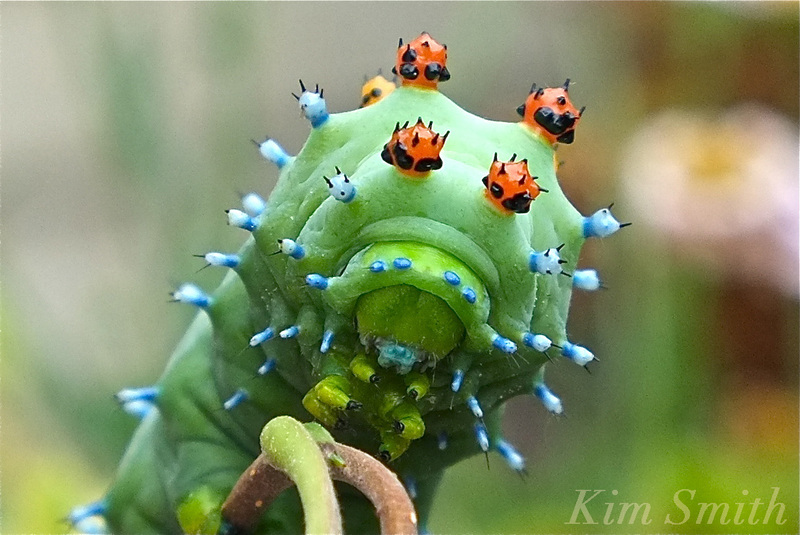 This entry was posted in Lepidoptera and tagged American Paper Birch, Betula papyrifera, Cecropia Moth, Cecropia Moth Cocoon, largest moth of North America, Mothra on August 25, 2016 by Kim Smith.